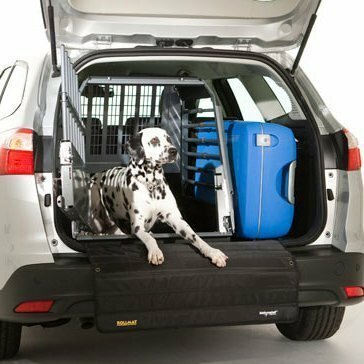 The MIM Variocage single is a practical and safe option for containing your pet to the cargo area of your vehicle. 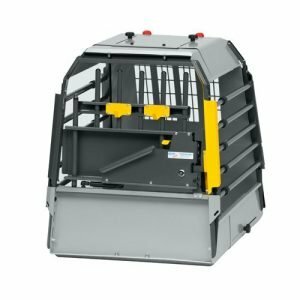 The Variocage is crash test certified and is designed with the safety of both your pet and passengers in mind. 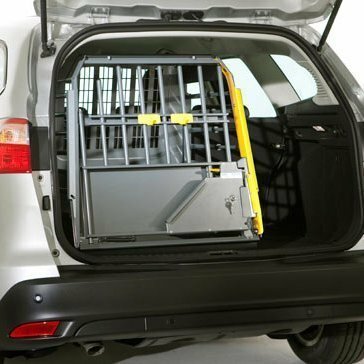 Working with the vehicle’s crumple zones in a rear collision, the cage will compress enough to not push forward the back seat of your vehicle, and it will retain its shape to be safe for your pet inside. 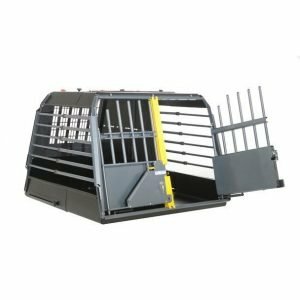 The MIM Variocage single has been crash tested for all types of collisions including front end, rear end, and rollovers, outperforming all other cages on the market. Variocages have a perfect safety track record for more than a decade. Variocages come in 14 adjustable sizes to fit most vehicle sizes and pet needs. Cage doors have built-in key locks (with keys) for security, and additional security can be achieved by adding a padlock to the padlock mounting tabs. 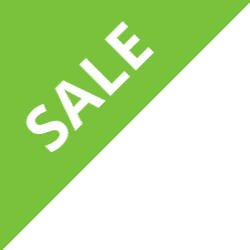 Variocages are made with high quality powder coated steel, to be both strong and flexible. The built-in crumple zone absorbs impacts in the event of a collision, they are constructed with the safety of your passengers and pets in mind. 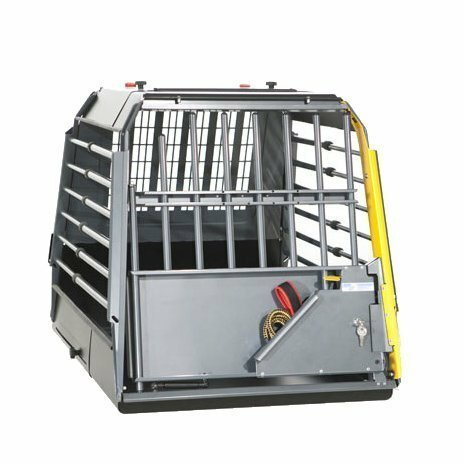 Each crate has an emergency escape hatch for pets, if the rear door cannot be opened, pets can still be released. No vehicle modifications are required, the cage installs easily by attaching straps to anchor points. 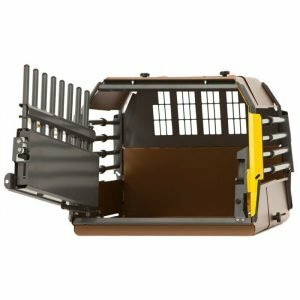 Rubber mats in the base of the crate allows for easy clean up and comfort for your pet. 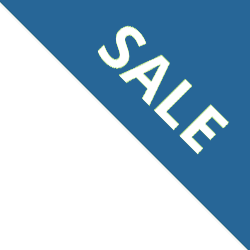 Additional accessories are available, including leash clips and water bowls. Additional sizes of the Variocage are available.